Every year dozens of people die in wilderness settings because they were completely unprepared to face the dangers that lurk in nature. Thinking about being lost in the wilderness brings up fears of wild beasts waiting to tear one to shreds, but Mother Nature is far more likely to take your life than any 4 legged predator. 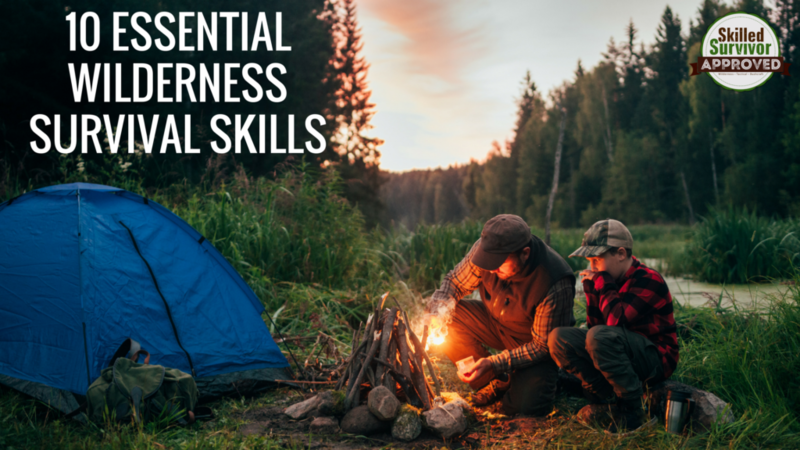 The wilderness is a wonderful place to relax and enjoy the sounds, smells, and sensations of the outdoors, but without proper preparation it can be a death trap. 1. Always bring at least one gallon of water per person per day if you plan to be in the wild. Those who wander off the trail rarely carry enough water. An essential survival skill is learning to find water. Don’t be fooled by a clean bubbly brook. These waters often contain bacteria or other contaminants and must be boiled before drinking. This brings us to Skill # 2. 2. Always carry matches in a waterproof container. If your fail to bring matches or they get wet, you must find another way to start a fire. Without fire, you are without clean drinking water and you are without warmth. Both of these conditions can kill you. In a pinch, fires can be started from the heat of rubbing two sticks together or holding a piece of glass near a pile of tiny dry sticks called kindling, or by making a fire bow. Also, sparks from steel striking rock can start a fire. This requires much persistence but will work eventually. 3. Protecting yourself from wildlife is important. A fire can deter some animals, but not always. One must know what animals might be inhabiting the area, and how to deal with them. For example, a loud noise may frighten a bear, but climbing a tree would not be a good bet, as bears are able to do this more quickly than humans. A good knife or hatchet are essential camping tools. You can extend the tools by lashing them to longer strong sticks. If you have no tools of this nature, it is important to find something like a branch or even rocks to ward off attacking animals. A good sharp knife can assist in obtaining food by turning it into a spear or by fashioning a three pronged gig for catching fish, frogs, or other small animals. 4. Proper clothing is essential and keeping it dry is important. Once clothing becomes wet, there is a chance of hyperthermia which is life threatening. Also, it is important to know how to repair certain clothing items, especially footwear. Duck tape can be extremely useful for shoe or boot repair. If clothing gets wet, one must take it off and dry it by the fire. You are safer in your birthday suit than in a soaking wet outfit. Keeping extremities warm with gloves, boots and hats and the right coat will help save your life. 5. The elements can be deadly. If you are too hot, you can die of heat stroke or dehydration. If you are too cold, hyperthermia will set in. Skill number 5 is knowing how to build a shelter. 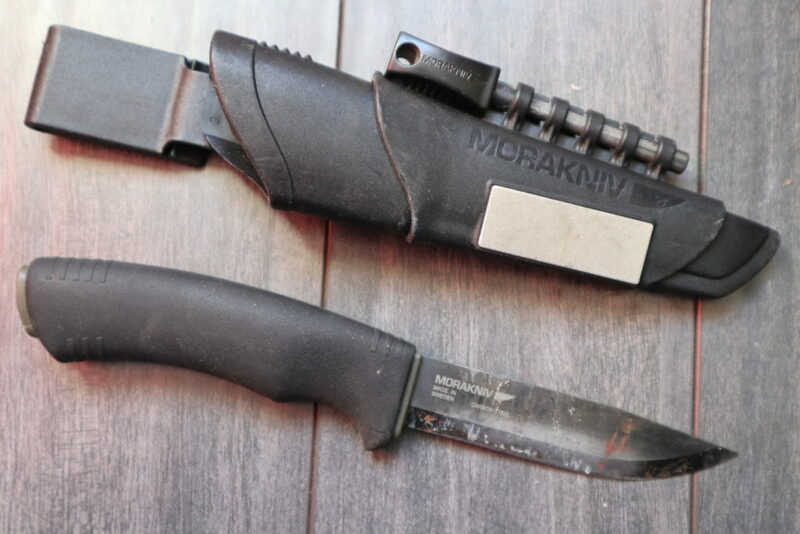 This is once again, another reason to pack a sharp knife or hatchet. A lean-to type of shelter can be constructed fairly easily by finding branches and leaning them up against a large tree or rock formation, then patching them with mud or other debris. 6. If you are injured in the wilderness you cannot call 911. You must have a basic understanding of first aid. Knowing how to keep a wound bandaged and clean can stave off a deadly infection. Learning how to splint a broken bone will allow you the mobility needed to survive outdoors. First Aid kits are great, but you can still use natural materials for splints and clothing items for bandages. 7. Knowing what is edible and what is not is important. Acorns, for example are abundant in many places and can be stored for safekeeping. In some places wild carrots or wild potatoes or berries can be found. Somme people have resorted to eating worms or insects. 8. Before entering a wilderness region, an important skill is to let others know where you are and when you will return. Preferably, you should travel with other people. When lost, two heads are always better than one. 9. A compass is an excellent tool to have in the wilderness but without one, there are ways to use the positon of the sun in the daytime and that of the stars in the evening to help you determine which direction you are heading. In most situations, however, it is best to stay put once lost in the wilderness. The further you stray, the longer it takes to be found. 10. Lastly, one must have a way to signal for help. A loud air horn is useful. So are mirrors. Placing yourself in open areas so small planes and helicopters can see you is a wise decision. Putting your arms in a “Y” shape over your head is a distress signal and will produce better results than waving or jumping about. Never enter the wilderness unprepared. Your life depends on it. 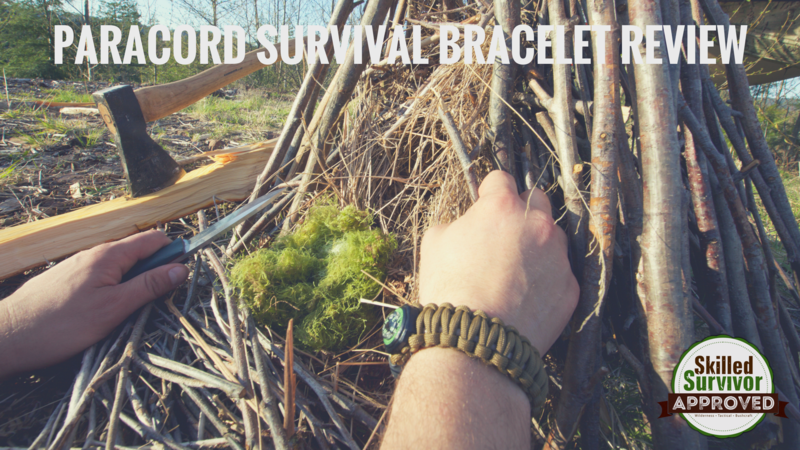 Be sure to check out our other blogs on survival and skills you should know.